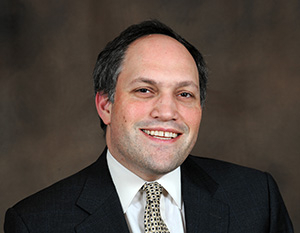 Michael Rubin is a resident scholar at the American Enterprise Institute; senior lecturer at the Naval Postgraduate School's Center for Civil-Military Relations; and a senior editor of the Middle East Quarterly. Between 2002 and 2004, Rubin worked as a staff advisor for Iran and Iraq in OSD/ISA/NESA at the Pentagon, in which capacity he was seconded to Iraq. A native of Philadelphia, Rubin received a B.S. degree in biology from Yale University in 1994, and a Ph.D. in history from the same institution in 1999. He has previously worked as a lecturer in history at Yale University, Hebrew University in Jerusalem, and at three different universities in northern Iraq. Rubin currently provides academic instruction on regional issues for senior U.S. Army and Marine officers deploying to Iraq and Afghanistan. Rubin is author of Into the Shadows: Radical Vigilantes in Khatami's Iran (Washington Institute, 2001), co-author of Eternal Iran: Continuity and Chaos (Palgrave, 2005), and co-editor of Dissent and Reform in the Arab World: Empowering Democrats (American Enterprise Institute Press, 2008). Rubin was primary drafter of the Bipartisan Policy Center's 2008 taskforce report, Meeting the Challenge: U.S. Policy toward Iranian Nuclear Development.